If you have a blog, a website, or a business you don't want to miss out on this! 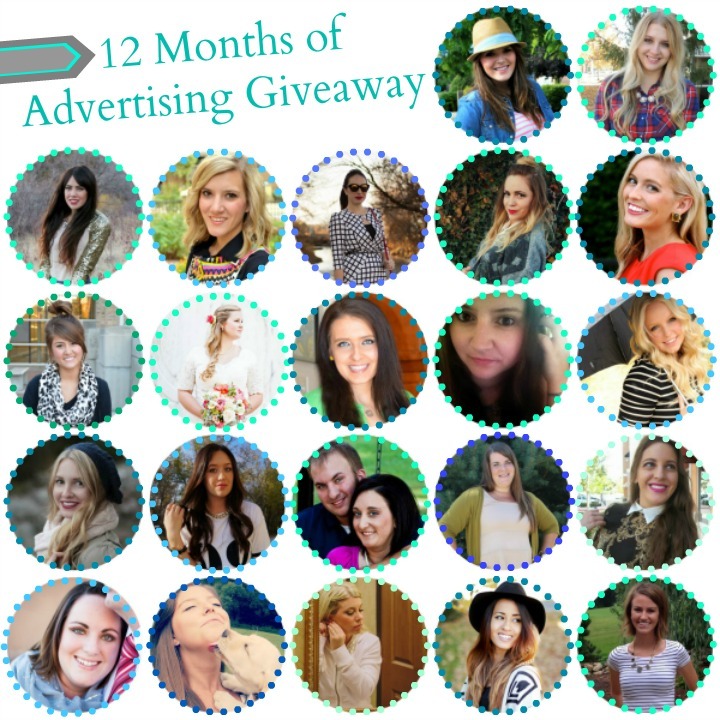 Today I am teaming up with a group of bloggers to bring you a giveaway to set you up for a whole year of advertising. That wasn't a mistype. I said TWELVE MONTHS! It is the mother of all advertising giveaways, and we are here to set you up for the entire 2014 calender. 12 Months. 22 Bloggers. 1 Winner. We have bloggers of all genres from across the United States joining forces to give one lucky winner an entire year of publicity. All of these blogs were chosen based on their blog quality and readership. The giveaway closes December 14 at 12:00 AM. The giveaway is open to international readers. Entries will be verified. So what are you waiting for? Enter for your chance to win an entire year of ad space by using the Rafflecopter form below! I would use the ADs to grow my blog!